The poor Windows Phone Connector for Mac (now known as just 'Windows Phone') has always had issues since the app was made available on the Mac Store. 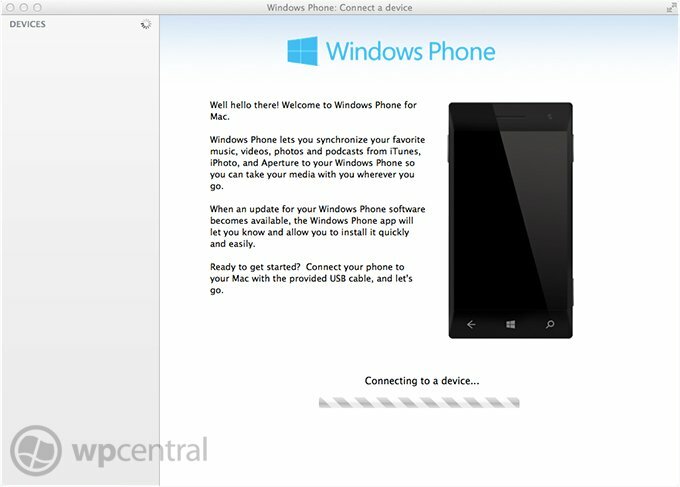 Enabling the synchronisation between a Mac and Windows Phone, Microsoft was praised in allowing those who happen to own Apple computers to control what content is located on their mobile device. But it hasn't always been a rosy experience. The app has continuously been updated to address problems reported by users and to keep up with what's being added to Windows Phone. With the release of Windows Phone 8, Microsoft has bumped the app further to make way for the new hardware that HTC, Nokia and Samsung will be releasing in multiple markets. While this has been welcomed, providing further support for Mac users with the latest hardware running Windows Phone 8, we're greeted by more problems when attempting to use the software. Previously, we received reports on users hitting a wall with the infamous "can't access device" error, which required a number of device reconnects and software restarts until both decided to converse. Unfortunately, this error is still present - but is nowhere near as common as was the case in previous versions of the connector - but that's not what's problematic to Windows Phone owners who wish to synchronise their device with their Mac. It seems as though the app is experiencing stability issues when attempting to load media onto the connected Windows Phone. When selecting "Music" on the sidebar to prepare iTunes to synchronise either individual artists, tracks or entire playlists, the Windows Phone app hangs and subsequently crashes. A number of reviews on the app's listing on the Mac Store are complaints of this issue, and we've been able to reproduce the issue, which has also been reported by a number of our readers. So while the updated app is nice (it really is an intuitive solution) we'd like to see Microsoft address the issues highlighted by users to prevent those who are coming onto the train by purchasing a new Windows Phone 8 handset to be hit by errors and crashes when attempting to set up their device, should they not have a PC running Windows 8. It is possible for music to be added to the Windows Phone (and we've confirmed that the tracks are loaded on our device), but one is still battling against errors and potential crashes, which is never a good experience. If you're experiencing the same problems, do note that the app does actually work, one just has to push through the battleground to be successful. If you'd rather go with a drag-and-drop approach, the latest version of the Windows Phone app enables Finder support, which allows users to literally drag files to their Windows Phone - just like on a PC. It's a conveniant workaround (though we haven't been able to actually be able to do this - sound off in the comments if you've been able to get Finder support to work). Note: if you're using external devices / folders (other than "Music") to synchronise music to your Windows Phone, you have to enable access. This can be achieved by going to "File > Allow Access to Folder". Yes, we can complain about the app but in reality it's a good solution for those who own a Mac and a Windows Phone. Of course it's always best to either set up or buy a Windows 8 PC, but for those who are slowly reaching out from the Apple ecosystem, it's a good experience when it works. We've previously looked at how to load ringtones, back up and restore a Windows Phone, as well as other tips so be sure to check them out for helpful hints. 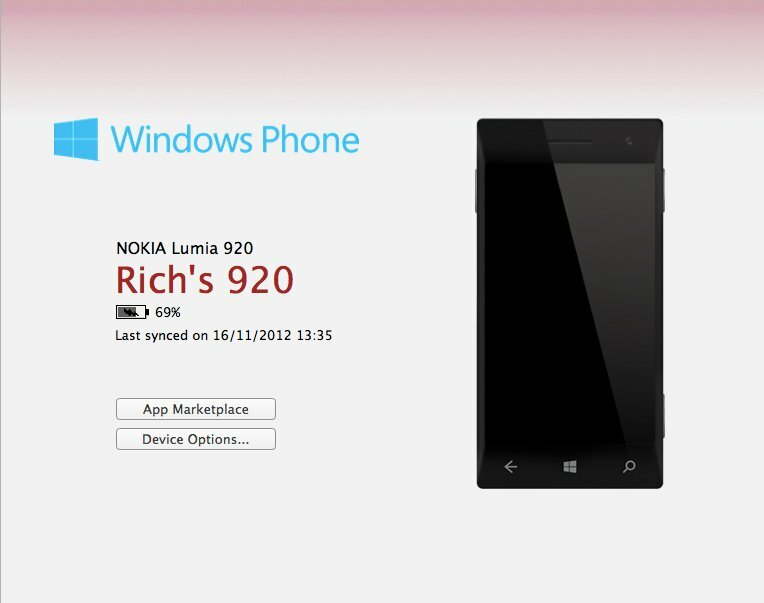 You can download the Windows Phone app from the Mac Store for free. Are you having issues with the latest version of the Mac client? Thanks, ainstushar, for the tip!